Recently, Micromeritics Instrument Corporation completed the acquisition of PoroTechnology, a Texas-based company located in the greater Houston area providing Mercury Injection Capillary Pressure (MICP) rock property data to the U.S. and international oil and gas industry. PoroTechnology will operate as a business unit of Micromeritics and utilize the analytical assets of Micromeritics Analytical Services (MAS). This acquisition will be of significant benefit to both PoroTechnology and MAS current and future customers. 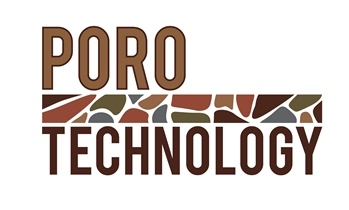 John Neasham, Ph.D. established PoroTechnology in 1995 and has, for 18 years, personally conducted MICP analysis and evaluation of some 25,000 samples representing a broad spectrum of reservoir and seal rock types. As a geologist, Dr. Neasham’s 43 years of experience in the oil and gas industry has enabled him to provide clients with important geological and petrophysical rock property data using customized MICP analytical protocols and generated data evaluation. Dr. Neasham will continue as a consultant, acting in both an advisory role and with direct involvement in MAS MICP services, to include data reports provided to clients. MAS provides its customers access to multiple AutoPore MICP instruments and superior laboratory facilities, resulting in analytical turnaround times second to none. The new PoroTechnology will also maintain MICP sample costs for the near future at the same level that existed prior to the acquisition, which are among the lowest in the industry. In business for over 50 years, Micromeritics has earned a reputation as an innovator and leader in the science of materials characterization. The company not only manufactures, sells, and services quality analytical laboratory instrumentation, but also provides an extensive array of contract analytical laboratory services. Micromeritics Analytical Services (MAS) specializes in the physical characterization of fine powders and solid materials for a broad range of industries. MAS has experienced continuous growth by providing quality results with an industry-leading turnaround time and strong commitment to customer service.